Before the Bitexco Financial Tower in Saigon was completed in 2010, there was still not a single skyscraper in Vietnam. 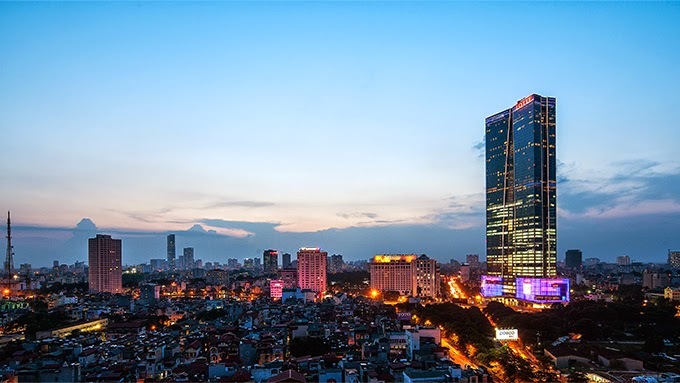 But as Hanoi and Saigon being two of the most rapidly developing cities in Southeast Asia, the cityscape of Vietnam’s two biggest metropolitan areas has been transformed with the addition of 3 towering buildings. 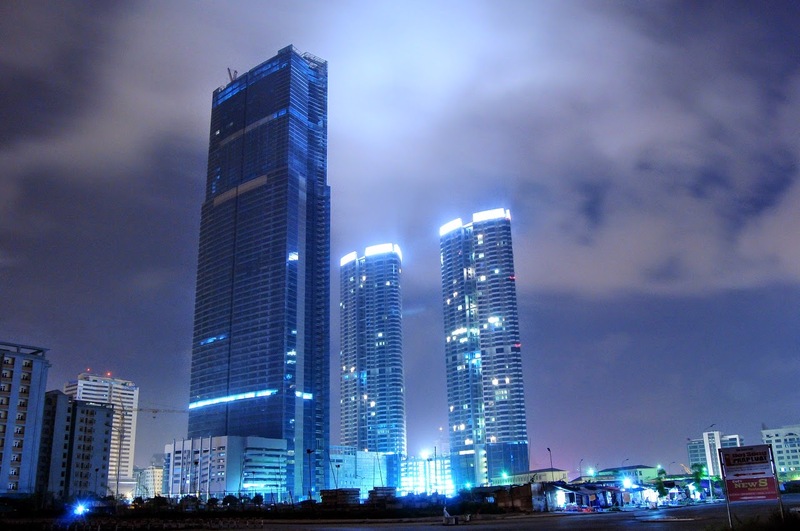 As said before, the Bitexco Financial Tower in District 1, Saigon is Vietnam’s first ever true skyscraper. Reaching 262 meters above the hustling and bustling streets of Saigon, Bitexco Financial Tower demonstrated a curvy and lovely structure, somewhat like a lotus, stands out among several tall buildings near Saigon River. One of the most unique features of Saigon’s only skyscraper is the 191 meter tall heli-pad rugged out from the building. If you want to get panoramic views of the city, day or night, visiting the Bitexco Financial Tower is a must. The newest skyscraper in Vietnam, the 267 meter-tall Lotte Center Hanoi functions as several different units of one of Asia’s largest corporations. Across 65 floors, there is a department store with several restaurants and cafes, a five-star hotel (the highest luxury hotel in Vietnam), and a state-of-the-art observatory deck. The new Lotte Center Hanoi makes the nearby Daewoo Hotel (once an iconic building of the city) looks humbling. Here comes the tallest of the family, the 336-meter Keangnam Hanoi Landmark Tower is one of 40 tallest buildings in the world. Part of a 3-tower complex, this 72 storey skyscraper truly symbolizes the economic potential and ambition of Hanoi and the whole Vietnam in general. Keangnam Hanoi Landmark Tower is visible from almost anywhere in the city center, even from the other side of the Red River which is almost more than 10 kilometers away. However, you cannot always see the upper part of the building, especially when it is foggy. That only shows how high the structure is. In fact, in Southeast Asia, only the Petronas Twin Towers in Kuala Lumpur, Malaysia is higher than the Keangnam Hanoi Landmark Tower.